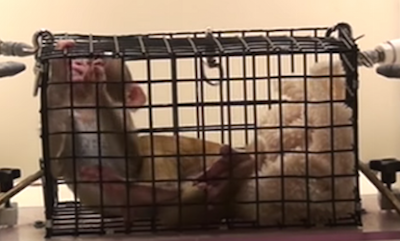 National Institute Of Health Caught On Camera Torturing Infant Monkeys - So Sad!! National Institute Of Health Caught On Camera Torturing Infant Monkeys – So Sad!! At this government facility in Maryland, the National Institute of Health, is torturing hundreds of baby monkeys who are torn from their mothers. These experiments subject baby monkeys to years of scary and painful tests designed to cause, worsen, and measure their severe fear, depression, and anxiety. These experiments have been going on for more than 30 years, costing taxpayers more than $30 million in just the past seven years alone. SHOCKING! How Lindsay Lohan Plans to Complete Community Service! Wait Til You See What This Octopus Does On This Man’s Boat, It Will Blow Your Mind!